Do you like spicy? I hated anything remotely spicy growing up but as I’ve gotten older, especially the past few years, I have grown to love spicy flavors more and more. 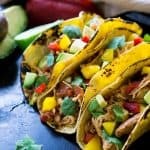 My husband has always been a huge spicy food fan so I knew he’d love this recipe for Slow Cooker Spicy Mexican Chicken Tacos! Now a word of warning-these are spicy, really spicy in an amazing way! 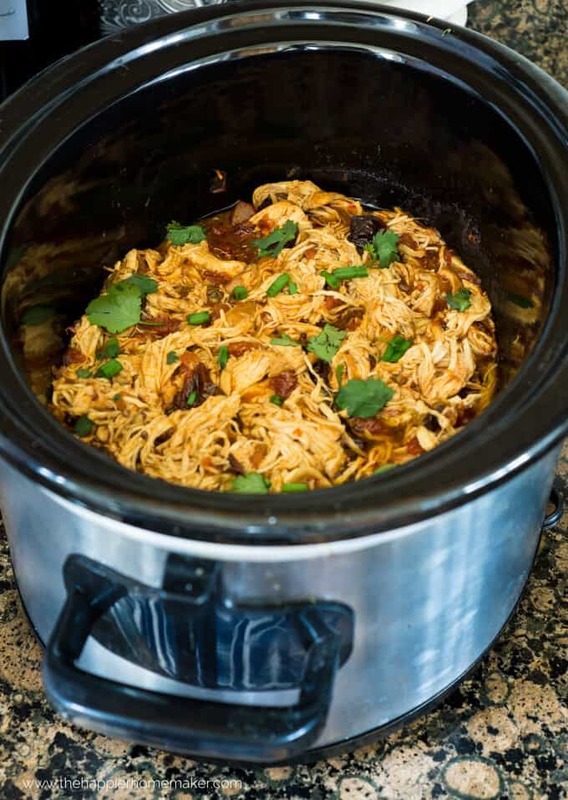 They’re also super easy-just plop three ingredients in the crockpot in the morning and add the fixins’ at dinner time. You can also use this meat recipe for burrito bowls, over salads, or even on it’s own! I love it, and I hope you do to! Add chicken, tomatoes, and peppers to a slow cooker and stir to mix. Cook on low for 6 hours. Use two forks to shred the chicken and stir again to mix with the sauce. 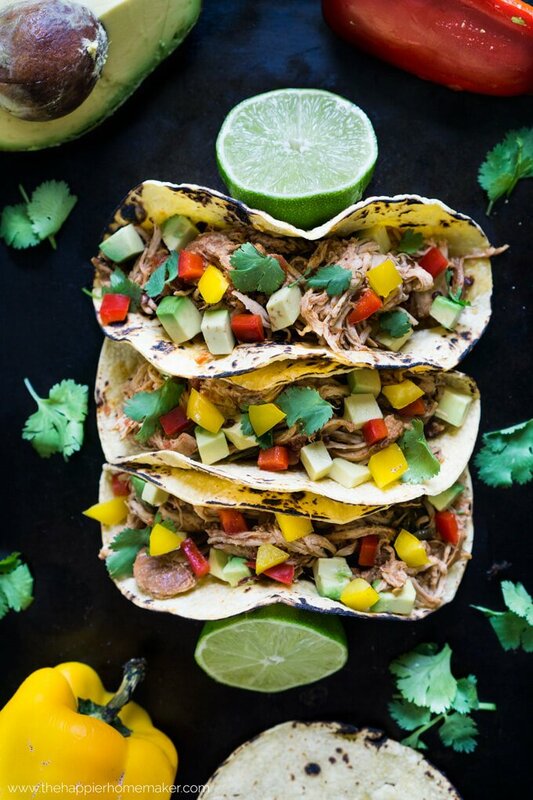 Serve with tacos and toppings of your choice or as desired. You can also combine the chicken, cans of diced tomatoes and chilis and peppers in a freezer safe container ahead of time and freeze for up to three months. Then simply thaw overnight and cook as directed for an easy dinner on busy days! Add chicken, tomatoes, and peppers to a slow cooker and stir to mix. Use two forks to shred the chicken and stir again to mix with the sauce. 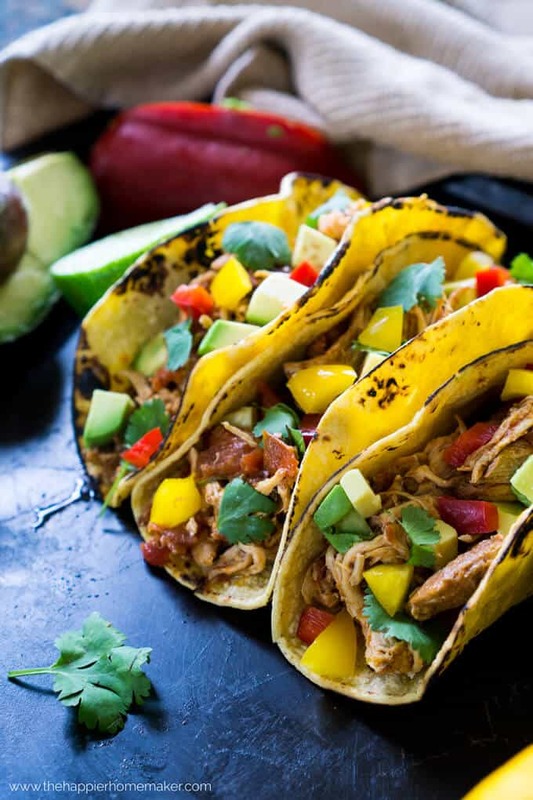 Serve with tacos and toppings of your choice or as desired. How did you cook the shells for this? Are they grilled corn shells?